When visiting the Baby Show in Birmingham, as we were walking around we were approached by many companies and one of them being Frame My Name. At first I was particulary interested in the concept of having my babies name printed on a piece of paper until I had a look at there work on display. Then is occured to me this was actually a lovely feature, giving the meaning of the child's name also. 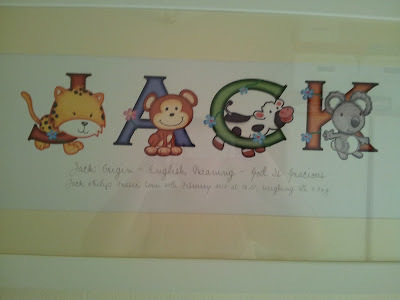 Each letter of the child's name is a different animal, and then you can have some personalised writing underneath. Due to my love of animals, and the quirkiness of this I decided to purchase one using the show offer, which meant I got the deal saving £15. 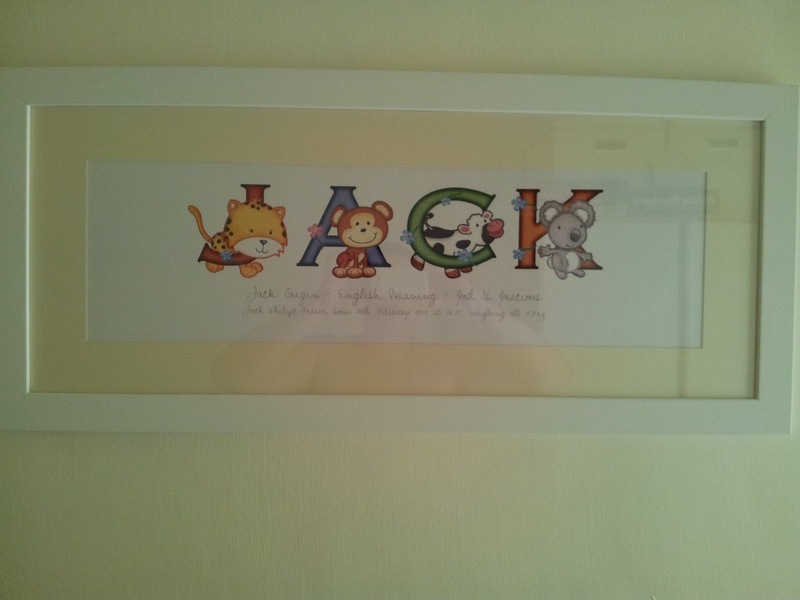 I chose to have a Animal Adventures Framed Name Print. I was able to take the frame away from the show with me and had a code to purchase the print online to be sent out to us. After finally deciding what I would like added within the personalised writing I ordered my print. To my amazement after just two days my print arrived; fully protected within a cylinder tube. I was amazed how such a stunning print could be made and dispatched in a quick time. I found out my frame, placed the print inside and put it in my sons bedroom. It looks lovely within his room, and adds some colour to the walls as they are dull at the moment. Also, as he grows older he will be able to learn his name and learn how to spell it which is also a added bonus. 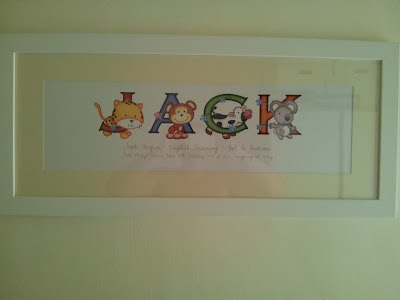 Frame My Name also do other personalised baby gifts and name gifts.